(jka) Never has the choice of prime ministerial candidate been so much a part of mainstream social discussions like this. An emigrated Pandit from Kashmir to humble Kumars from Bihar to Chowdarys and Reddys from Andhra Pradesh to art loving Banerjees and Chatterjees of Paschim Banga to surname less Subramaniams and Palaniappans of Tamil Nadu, all talk about the repercussions of a specific prime ministerial candidate. 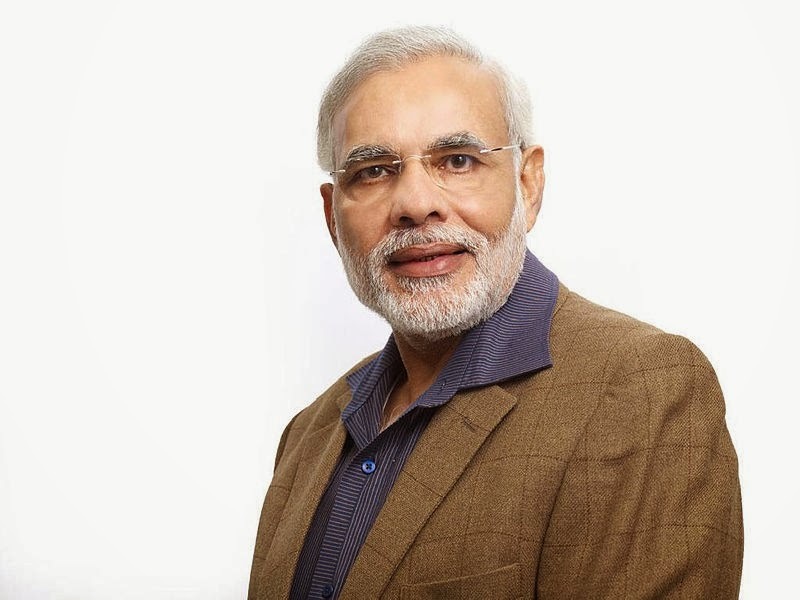 The prime ministerial candidate is none other than, Narendra Damodardas Modi or NaMo, who is being hailed as a Messiah of sorts to bring about a change in way, India functions as a nation. You must be wondering why I haven't added surnames from minority communities in the paragraph above. Because, their views has already been misinterpreted, magnified and colored with a religious fundamentalist view by none other than our so called 'Pseudo-Secularists', who have watched religious pogroms right from post-independent riots to Sikh riots to occasional sectarian violence and had given their valuable arm-chair philosophers styled views, which just doesn't resonate with people from either sides. So now you would have started to think that, these words are coming from a person who supports Modi secretly and acts like a politically neutral person in outset. I don't blame you for it is a symptom of a disease that is spreading like a viral infection. With me posting this on a blog, which naturally qualifies as a part of social media, let me talk about the cyber warriors of BJP and Congress. No other election has brought about such a level of clear divide, about how people approach certain issues. No other election has been contested on the basis of economic indicators as this. In fact, when Raghuram Rajan, Governor of Reserve Bank of India, recently released a ranking for states based on Multi Dimensional Index, there was a furor of activity in social media for it ranked Gujarat as less developed in contrary to the public opinion, that is Gujarat is a state where milk flows in gutters, glittering gold could be found in street sides and power is generated by some unknown Shree chakram of Vishnu. Thanks to this issue, because it brought out a single factor that unites cyber warriors of BJP and Congress. That is, they are suffering from a serious disease which makes them immune to 'Hard facts'. A very serious disease which makes them blabber hollow claims , lie with a straight face , make completely irrelevant personal remarks to deride a personality and importantly to enter the discussion thread on Facebook , discussion forums and troll everyone. 1. Reasons do contain hard facts and the affected people have deep disregard for anything that is a 'fact'. 2. The moment when they feel the argument supports a conclusion that is against their pre-conceived notion, they hop from one topic to other or accuse us of being a racist, religious fundamentalist, pseudo-secularist, leftists, Hindutva-vadi and to top it all, 'Traitor'. Before 1990’s everyone watched Doordarshan and received similar news across the country. Then, political parties started their own TV channels to peddle their point of views to public. The extreme example is found in Tamil Nadu, where watching news bulletins from channels of opposing parties would make any sane person to think whether they are living in two alternate universes at a same time. The problem starts there, for the lazy us, stick to a news channel than surfing more than 2 channels to know the truth. The more we hear from a specific news channel, our political stance slowly gets tied to their ideology. Enter Facebook , twitter and the scene is getting more fragmented. People can choose the news they see and they have started forming a bubble around them. The bubble effectively covers their head which makes it extremely hard for us to take the facts to their well-functioning asset, which is their Brain. Here, I would like to quote an example. On such a discussion on Gujarat, I stated to a person that Gujarat has a low HDI index. For information, HDI is Human Development Index, which is globally accepted parameter to understand the social well being of a citizen. The answer which he gave shocked me, for he openly claimed that HDI is based on falsehood and added that it is inhumane, for it reduces people to some numbers. But he was part of a larger band, which plays the same tune for years, that is, their state has higher GDP and hence their citizens are well off. Am still trying to come in terms with how GDP is related to people's well being. So here is a truth that has emerged. Even before Lok Sabha polls, the Narendra Modi factor has divided people into two separate groups and I believe that this is to continue further, even if Modi wins these polls or loses it. Modi has already won the mind game for he and his public relations machinery has turned the game from BJP vs Congress to Modi vs Congress, in eyes of Anti-Modi fans and Modi vs Ills that haunt this nation, in eyes of Modi fans. Win or Lose, Narendra Modi has entered the national scene and he is indeed a figure to reckon with. Call it illusion or real, the public relation machinery of his, has captured the imaginations of millions in this nation. What if Modi loses his 2014 LS Polls? "Politics is everywhere. It's in your shirt, your pants"
"You go to a night club somewhere in Spain and there’s Amitabh Bachchan on the screen there, dancing around. That’s the power of India. That’s the power of Indian people"
"These roads can’t have potholes. They can’t break down in six months. They have to be big roads because they are going to carry strong people, strong forces"
Am sure that would make us all proud and of course it's a point to cheer for many aunties and young girls who wanted him to be Prime Minister for his cute and charming looks, just like his father. Brand Namo has entered smart phone market too. To hell with marketing. and what is the truth about gujarat? has anybody ever been there or is it sort of an indian bielefeld? cos everybody who talks about gujarat says that indeed there is broadband internet even in remote areas, there are good roads, good infrastructure, bijli in every village, solar power etc... and on then you read things like gujarat has a low hdi and stuff... so can anybody bring on the truth?...i guess in india nobody wants to see the truth, because everybody wants to believe their own truth as there are millions of truths in india. Development is comparative thing. So, its hard to say.. Gujarat is for Mr. Modi - as a model.